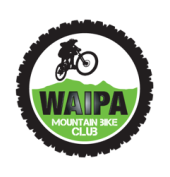 Sainsbury Road - Waipa Mountain Bike Club Home of the Waipa Mountain Bike Club. ​​﻿﻿Download a Sainsbury Road trail map here. After a lengthy process, the club gained approval to begin building tracks in the Sainsbury Road forest in 2010. Since then around 12 kilometres of single track has been built near the forestry road which climbs the mountain from the end of Sainsbury Road. As you can see from this map, we have just scratched the surface of the available land, with the blue outline showing the boundary of the Waipa District Council land we have access to. A working bee is held every month, with the focus usually on track maintenance. It is normally on the first Saturday (9am at the gate), but this can change if it’s likely to have a low turnout (for example it conflicts with an event). Check our facebook page to find out what’s happening. Whether its maintenance or building, there's always plenty to do so all hands welcome. Use the map to find your way to Pirongia and from there to Sainsbury Road.